The Vistula River is the main watercourse in Poland, with a length of 1047 km, drainage area of 194 424 km² and average discharge of 1046 m3 /s . It is one of the last large European rivers that is close to natural conditions. It has formed islands with sandy and gravel deposits, side arms and oxbow lakes connected to the main channel especially in its middle course (photo 1). The Włocławek Dam (photo 2) is located on lower Vistula River (km 674.850) in Central Poland. The dam, constructed in 1968, creates a large dam reservoir, of 70,4 km2 surface area. It was built as a first part of 10 large reservoir plan at that time but it remains till now the only one. The dam was equipped with 6 electric turbines (Kaplan type) and a technical step-pool fishpass. The lower stretch of the Vistula was partially channelized, but there are no other fish migration barriers between the Włocławek Dam and the Baltic Sea. The entire middle course of the Vistula river is free of obstacles for fish migration. 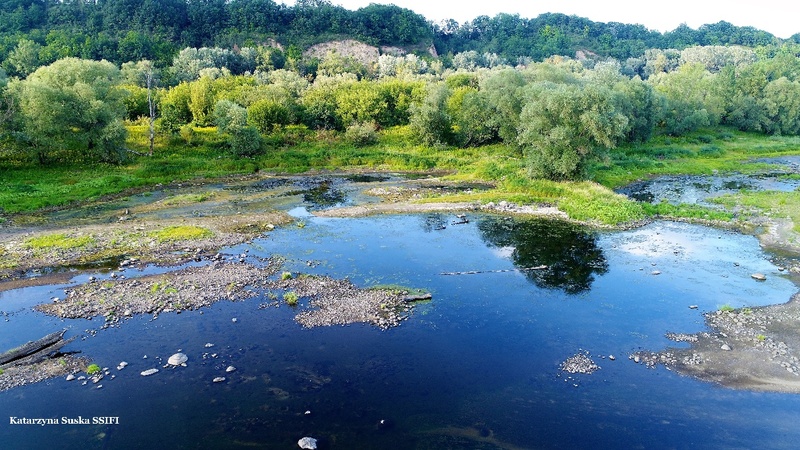 Main historic spawning grounds of diadromous fish species (photo 3) sturgeon (Acipenser oxyrinchus), Atlantic salmon (Salmo salar), sea trout (Salmo trutta trutta), vimba bream (Vimba vimba) and river lamprey (Lampetra fluviatilis) in the Vistula River system are located in the upper Vistula tributaries on the uplands and northern slopes of the Carpathian Mountains. Only few lower Vistula tributaries have suitable conditions for spawning of those species, and there are some permanent barriers for fish migration on their lower stretches also European eel (Anguilla anguilla) use the Vistula River as a migration channel between inland feeding grounds and spawning grounds in the Atlantic Ocean. - Construction of the Włocławek Dam had crucial impacts on migratory fish species, as the dam cut off the majority of Vistula River catchment that was the main historical spawning grounds for sea trout, Atlantic salmon, vimba bream and sturgeon. However, sturgeon and Atlantic salmon became extinct in the Vistula River catchment even before Włocławek Dam construction due to overexploitation and loss of spawning grounds. Populations of sea trout and vimba bream declined dramatically after dam construction. Species composition and abundance of local fish assemblages also significantly changed. 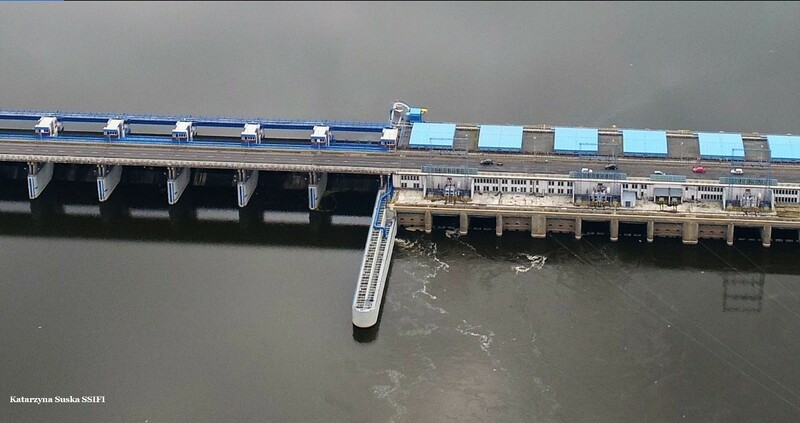 - The Włocławek Dam was equipped with a conventional step-pool fishpass, which initially was functional, but not enough to sustain free fish migration through the dam. After few years of hydropower plant exploitation, erosion below the dam caused gradual decline of fishpass efficiency due to lowering of water level, so it was functional only at high flows. Finally, all but one entrance window were situated above the water surface at average flow. - The water authorities first created a stabilizing stone ramp of two meters high just 500 m below the dam to prevent bottom erosion (photo 4). This slowed down the bottom erosion, but created a new obstacle for fish migration, especially at low water flows. However, there are plans to build a new dam located about 20 km downstream of the existing one to stop the bottom erosion and ensure safety of the existing dam. 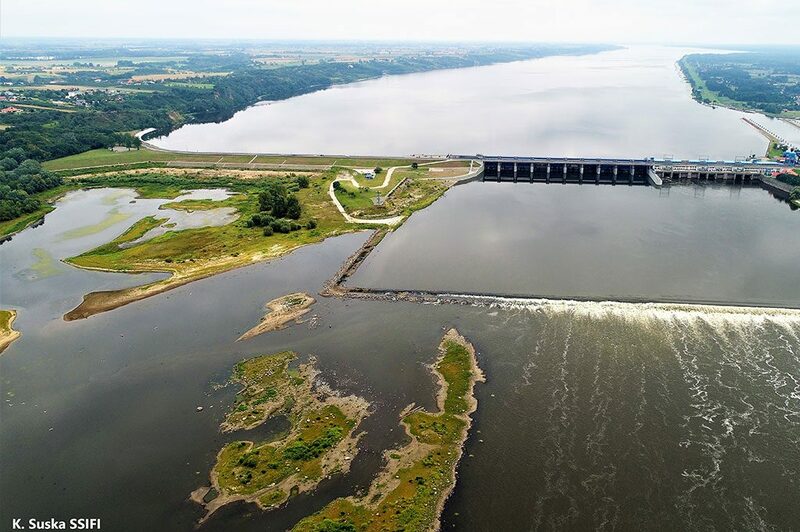 Such a new dam and reservoir will create an additional barrier for fish migration, which was recently improved by the reconstruction of the Włocławek Fishpass. Photo 4. Stabilizing stone ramp below the dam on the Vistula River. - Regional Water Management Authority in Warsaw, Zarzecze 13B Str., PL 03-194 Warsaw, Poland. This governmental agency is responsible for the maintenance of the dam and reservoir, as well as for the functioning of the fishpass. - Ministry of Maritime Economy and Inland Waterways (Ministerstwo Gospodarki Morskiej i Żeglugi Śródlądowej) Nowy Świat 6/12 Str., PL 00-400 warsaw, Poland – Governmental agency responsible for inland navigation and waterways management as well as for inland fishery. - ENERGA WYTWARZANIE SA, Al. Grunwaldzka 472, 80-309 Gdańsk, Poland. This stakeholder is an owner of The Włocławek hydro-power plant responsible for energy production. 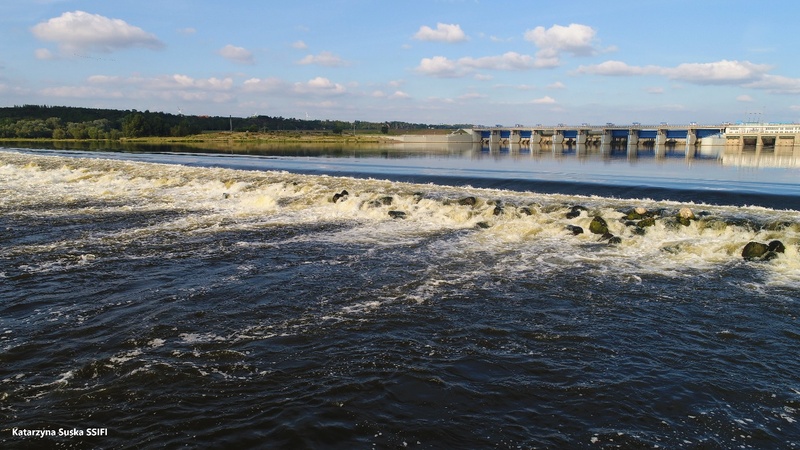 It is also the main investor for the new hydro-power plant at planned dam below Włocławek. - The Municipality of Włocławek, (Urząd Miasta Włocławek), Zielony Rynek 11/13, Pl 87-800 Włocławek, Poland – involved in the reopening of the dam for fish migration and tourism. Provided plans for seminatural fish bypass channel construction. - Polish Angling Association (Polski Związek Wędkarski), Twarda 42 Str, PL 00-831, Warsaw, Poland. Non-governmental organization involved in restoration of migratory fish species. They are the main fishery user of rivers in Poland, including the Włocławek Dam Reservoir and Vistula River stretch below it. - WWF – Poland, Mahatmy Gandhiego Str. 3 PL 02-645, Warsaw, Poland. Non-governmental organization involved in wildlife protection, including restoring migratory fish populations in Poland. 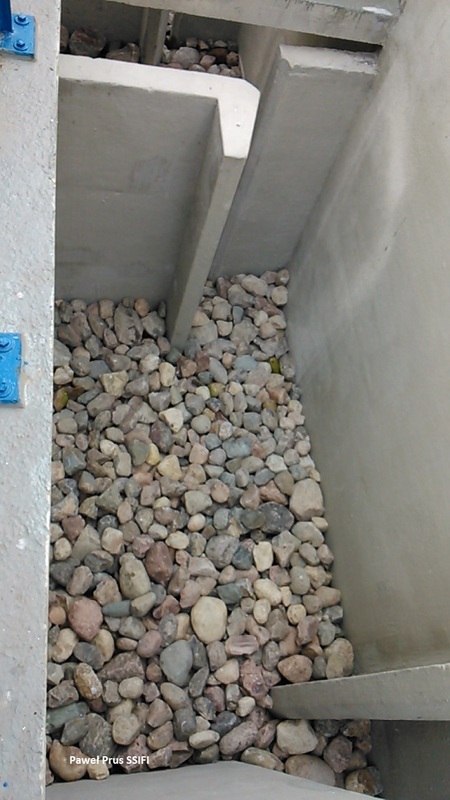 The fishpass at Włocławek Dam was recently (2014) reconstructed (photo 5 & 6) into vertical slot type, with a new entrance window and additional attractive current provided with a pipe. It was equipped with monitoring system, including VAKI scanner (photo 7) that enables constant monitoring of fish passage and fish trap in the top fishpass chamber which provides possibility of individual fish measurements, condition assessment and tagging. Photo 6. Fishpass on Włocławek dam - attracting current is visible. Photo 7. Scanner installed in fishpass chamber. In 2016, a total 7818 fish were recorded migrating upstream, mainly in April-May and October. Bream (Abramis brama) dominated with almost 5000 individuals, followed by anadromous species – sea trout (Salmo trutta L.), and vimba (Vimba vimba) at 8111 and 1123, respectively. 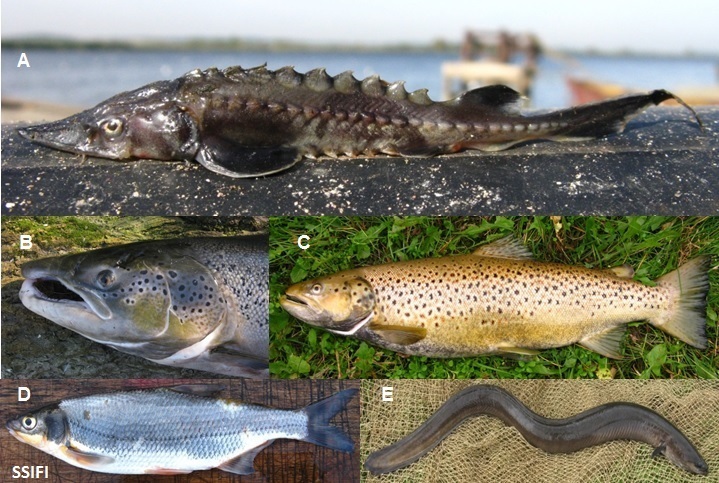 Asp (Aspius aspius), barbel (Barbus barbus), catfish (Silurus glanis), carp (Cyprinus carpio), ide (Leuciscus idus), perch (Perca fluviatilis), Atlantic salmon (Salmo salar), chub (Leuciscus cephalus), grass carp (Carassius gibelio) and roach (Rutilus rutilus) were also noted. The total number of fish were almost two times higher than in 2015 (Dębowski, 2017). During present year, tens of thousands of records were collected and still undergoing analysis. This year is vimba and white bream (Abramis bjoerkna) are more abundant. Also, white-eye bream (Ballerus sapa) was recorded. 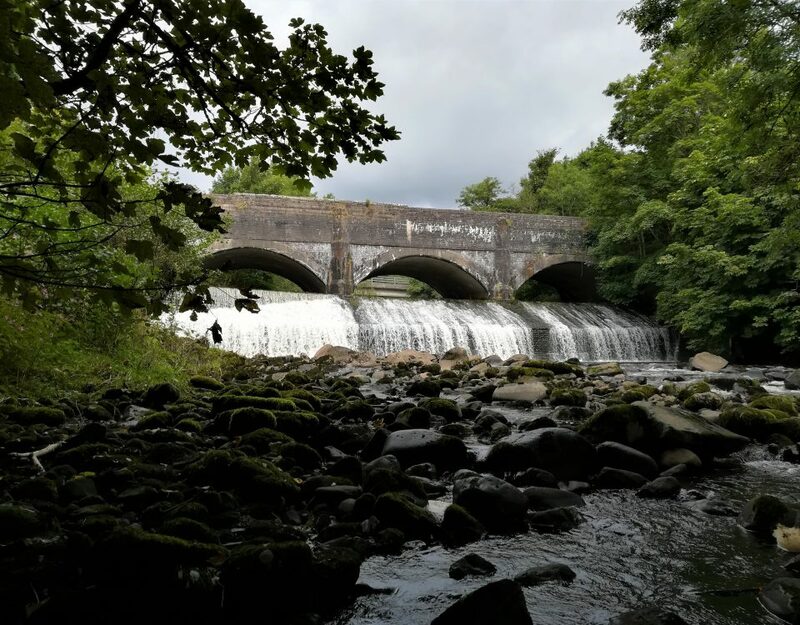 - One of the tasks of the AMBER case study is to check whether the reconstructed fishpass ensures sufficient passage for diadromous fishes and for the local populations of potamodromous species. Constant registration of fish passing the fishway by the VAKI scanner enables exact estimation of the fish number passing the dam with regard to particular species. This gives the data on seasonal and daily changes of fish migration intensity. Additional fish tagging with PIT tags and installation of the antenna at various locations in the fishpass (entrance, middle and top chambers) enables tracking of movements of particular fish specimens of known species and size, as well as estimation of the time spent by fish released below the dam for finding the fishpass entrance. 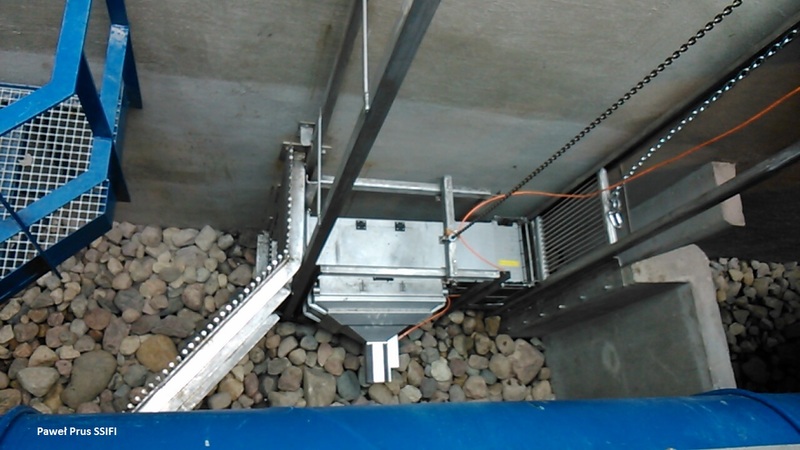 In 2016, a system with six PIT antennas was launched in fishpass. First antennae on the entrance, second on the first corner, two next below and above Vaki scanner, fifth on last corner and last on the exit. Nine adult sea trout were caught in trap installed in last fishpass chamber and tagged with 12 mm PITs in November during spawning migration. Tagged fish were released after applying anesthesia below dam. Four of them again entered a fishway and moved upstream. One female which successfully passed was recaptured half year later in Gulf of Gdańsk by a commercial fisherman. In 2017, a new experiment with three antennae system has been conducted. In 18 October, 112 specimens from nine species including bream, asp, vimba, sea trout, dace, barbel, ide, white-eyed bream and bleak were tagged and released below the weir. The system is already running. 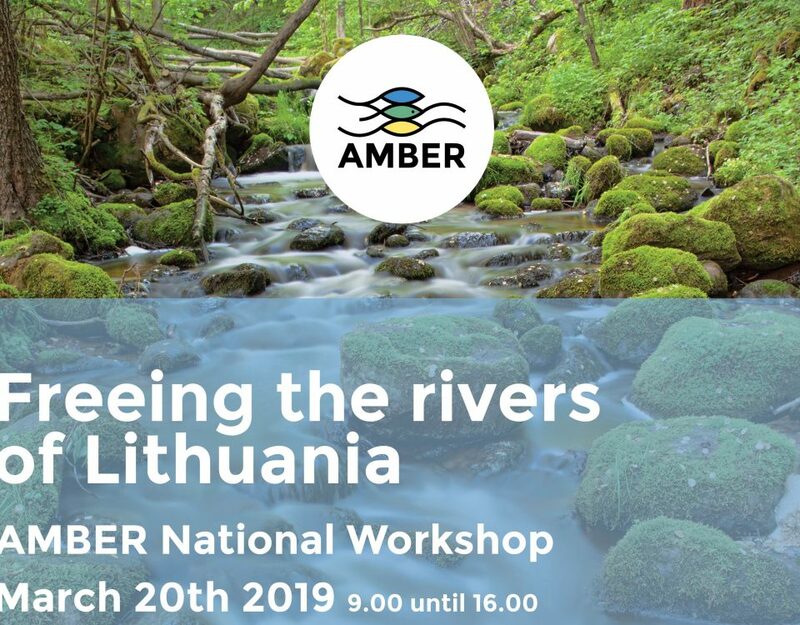 - The case study will also include the involvement of non-governmental organizations and general public – mainly the members of the Polish Angling Association will gather the data on occurrence of migratory fish spawners in the upper Vistula tributaries. This will provide a better measurement on the status of migratory fish in the Vistula River system and may help to point out migration obstacles in the upper part of the catchment. - An important AMBER tool that might be used at Włocławek case study is E-DNA method. This may be especially useful for detection of the migration of river lamprey (Lampetra fluviatilis), because this anadromous species is excluded from the stocking programs (due to lack of developed method for stocking material production), so the E-DNA traces of its presence above the dam may be a strong proof for passing the fishway at the Włocławek Dam. Other diadromous species are stocked above the dam, so the method cannot be applied for them. 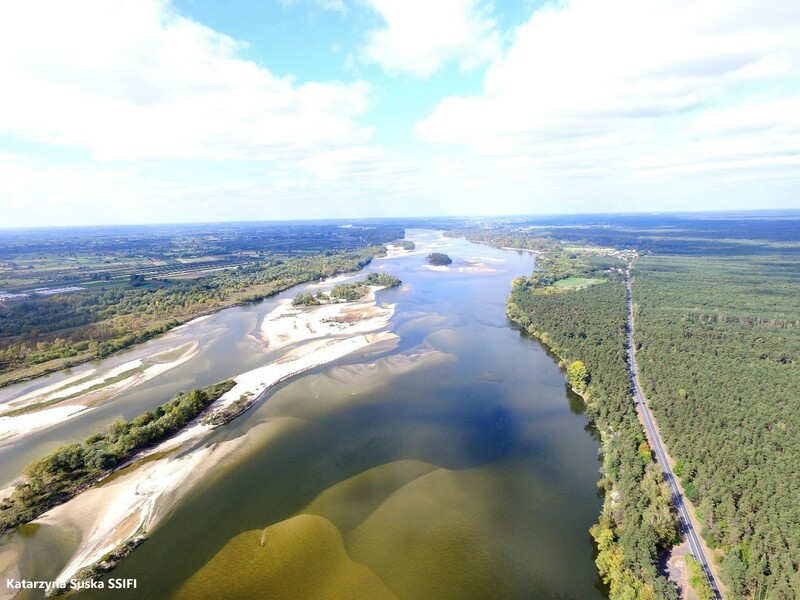 - The studies also include mapping of the habitat units distribution in the Vistula stretch below the dam with the use of drone photos (photo 8). The method includes drone mapping to provide actual maps to assess habitat distribution at given water flow. These habitats will then be sampled for fish and macroinvertebrates. Data obtained will be used to validate theoretical models of fish habitat availability in moderately regulated large river. First data series were already gathered in the autumn of 2016 and some field studies to improve the methodology were conducted in the summer of 2017. 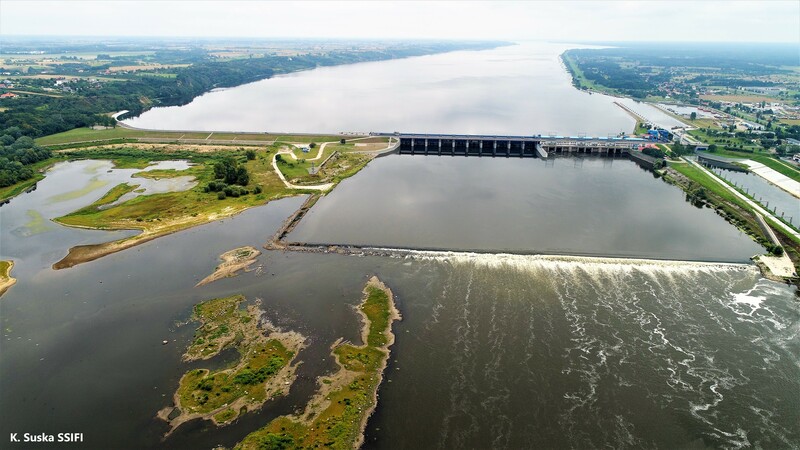 Based on the complete sets of data collected at the Vistula stretch below the Włocławek Dam, MesoHABSIM software will be used to simulate of habitat availability change at various scenarios, including planned construction of a new dam. Photo 8. Habitats diversity in the Vistula stretch below the dam – picture taken with the use of drone (Phantom 4 Professional). -	Backiel T (1985) Fall of migratory fish populations and changes in commercial fisheries in impounded rivers in Poland. In: (ed. J.S. Alabaster) Habitat Modification and Freshwater Fisheries. Butterworths, London, pp:28–41. -	Bartel R (1988) Trouts in Poland. Polskie Archiwum Hydrobiologii 35:321-339. -	Bartel R (2001) Return of salmon back to Polish waters. Ecohydrology & Hydrobiology 1(3): 377–392. -	Bartel R, Wiśniewolski W, Prus P (2007) Impact of the Włocławek dam on migratory fish in the Vistula River. Archives of Polish Fisheries 15(2):141–156. -	Błachuta J, Rosa J, Wiśniewolski W, Zgrabczyński J, Bartel R, Białokoz W, Borzęcka I, Chybowski Ł, Depowski R, Dębowski P, Domagała J, Drożdzyński K, Hausa P, Kukuła K, Kubacka D, Kulesza K, Ligęza J, Ludwiczak M, Pawłowski M, Picińska-Faltynowicz J, Lisiński K, Witkowski A, Zgrabczyński D, Zgrabczyńska M (2010) Ocena potrzeb i priorytetów udrożnienia ciągłości morfologicznej rzek w kontekście osiągnięcia dobrego stanu i potencjału części wód w Polsce [Assessment of need and prioritization for rivers morphological connectivity restauration inrelation to good ecological status of river water bodies in Poland]. Krajowy Zarząd Gospodarki Wodnej [National Water Management Authority], Warszawa, pp.56. -	Dębowski P, Bartel R (1995) Homing of tagged sea trut (Salmo trutta L.) smolt released into Polish rivers. Archiwum Rybactwa Polskiego 3(1):107–123. -	Głowacki Ł, Grzybowska M, Dukowska M, Penczak T (2011) Effects of damming a large lowland river on chironomids and fish assessed with the (multiplicative partitioning of) true/hill biodiversity measure. River Research and Applications 27:612–629. -	Jurkiewicz-Karnkowska E, Żbikowski J (2004) Long-term changes and spatial variability of mollusc communities in selected habitats within the dam reservoir (Włocławek Reservoir, Central Poland). Polish journal of Ecology 52:491-503. -	Kakareko T (2001) The diet, growth and condition of common bream, Abramis brama (L.) in Włocławek Reservoir. Acta Ichthyologica et Piscatoria 31(2):37-53. -	Kakareko T, Żbikowski J (2006) A tentative assesment of the influence of common bream Abramis brama (L.) on the prey populations and water chemistry in the Włocławek Reservoir in the lower Vistula. Limnological Papers 1:25-38. -	Wiśniewolski W, Engel J (Eds) (2006) Restoring migratory fish and connectivity of rivers in Poland. Wydawnictwo IRS, Olsztyn, ss. 81.